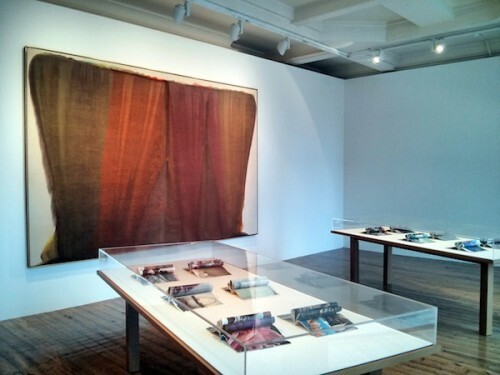 Last week I reviewed the latest exhibition at London’s Sprüth Magers gallery, Morris Louis and Cyprien Gaillard‘s From Wings to Fins. Drawn to modernism’s ideals, contradictions, and historical failures, Gaillard has risen on his ability to seek out and create tensions between stability and precarity, utopia and ruin, beauty and entropy, memory and amnesia. In the past, these tensions were variously converted into spectacles, as when Gaillard constructed a mountain of beer in Berlin or vandalized Robert Smithson’sSpiral Jetty (1970) with a fire extinguisher; intimate objects, such as the series of etchings the artist commissioned picturing dilapidated tower blocks among lush scenery; or meditations, notably in video works like Cities of Gold and Mirrors (2009). At the core is Gaillard’s fascination with the aging and crumbling edifices held up as inevitable sites of utopian failure within landscapes of historical violence. You can read the whole review at Dailyserving.